Call it deforestation, manscaping or de-fuzzing. Whatever you call it, hair removal for men is gaining popularity in Raleigh and all parts of the country. Hair removal by laser, as opposed to waxing, provides a permanent result without the need for unattractive hair growth between treatments. At Michael Law MD Aesthetic Plastic Surgery Center and Blue Water Spa in Raleigh, North Carolina, we see a significant number of men looking for laser hair removal. Professional athletes, bodybuilders, swimmers, cyclists, triathletes and many others require a hair free physique. Other men simply like the idea of feeling more confident, free of unwanted hair that makes them feel uncomfortable. According to a recent article in USA Today, men are not only waxing their backs, but also their bikini lines. According to Newsweek magazine, many men are getting the equivalent of the Brazilian bikini wax. While some gay men have been waxing their bikini area for years, it seems that now many straight men are paying to have the hair of the nether regions removed – all of it! They say it’s all in the name of vanity. 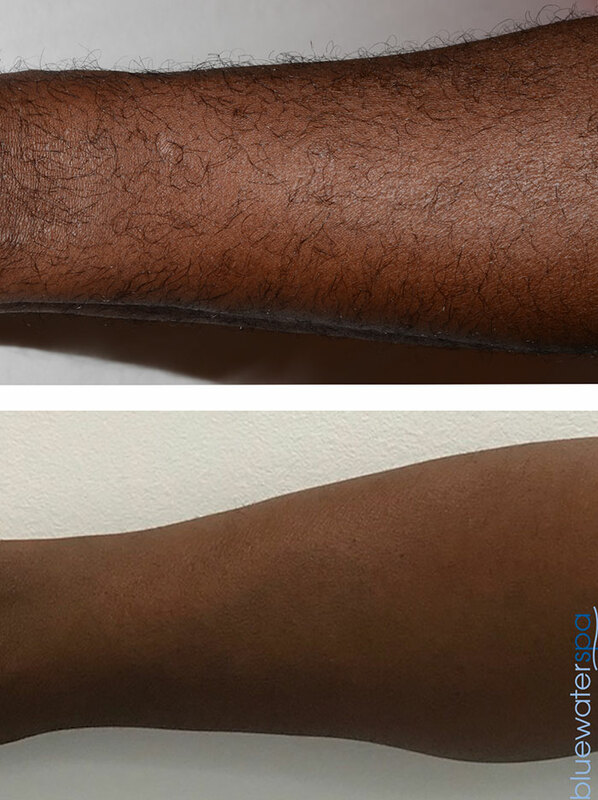 Many of our male clients have been removing unwanted hair for many years with methods other than laser hair removal. It is not uncommon for men to tweeze, wax or shave their eyebrows, ears, nose, hands, abdomen, you name it, before discovering laser hair removal. Many athletes and bodybuilders tell us that one of the most time consuming and frustrating parts maintaining their physique for training is not the training, it’s removing unwanted hair. Many men report that the lasers we use at Michael Law MD Aesthetic Plastic Surgery and Blue Water Spa provide a treatment much more comfortable than waxing. A large spot size coupled with a patented cryogen cooling device means laser hair removal treatments are safe, fast and comfortable. In some cases, men are looking for a reduction in the amount of hair and don’t necessarily want to be totally bare. Some men who feel self-conscious about the hair on their back, chest, legs, hands or abdomen are very pleased to see the reduction that two or three treatments might offer. Your privacy is very important to us. While seated in our waiting area, one might assume you are about to receive a massage. We are very discreet about all services provided. We regularly treat high profile individuals including athletes, musicians, actors and others. Whether or not you elect to have laser hair removal at Michael Law MD Aesthetic Surgery Center at Blue Water Spa, do your homework about laser hair removal. Not all lasers or all medical offices providing laser hair removal are created equal. Also, know that countless men have experienced laser hair removal and others are using another modality for hair removal. Find a medical office with experience in laser hair removal just for men in a professional discreet environment with an on-site physician. 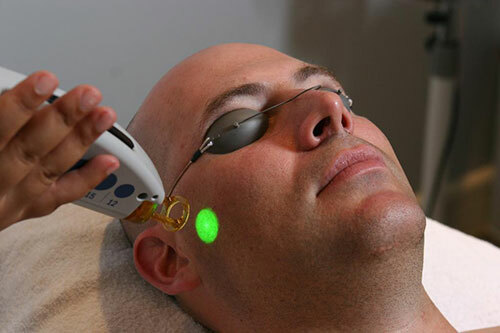 Blue Water Spa provides services in all areas of aesthetics including laser hair removal for men. If you would like to be rid of unwanted hair, contact us today to schedule a consultation.